Blame it on the wonderful Golden Baobab Prizes, but in the last couple of years I've gotten more and more interested in children's literature. So much so that for a while now, I've been scouring the internet and bookshops (physical and online) learning about the wonderful world of children's literature. Initially, this post was going to be a compilation of the many wonderful books I was discovering, such as Margeurite Abouet and Mathieu Sapin's Akissi, but then in my search I came across a number of awesome sites that were doing a much better job than I ever could. Instead I decided to showcase some of them. So if you're curious about African children's literature and want to find out more - here are a few websites and publishers to get you going. Based in Ghana and founded by Ghanaian writer, Efua Sutherland, Mmofra Foundation is "dedicated to enriching the cultural and intellectual lives of all children in Ghana." 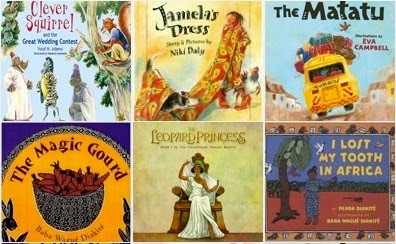 If you haven't already, check out their Pinterest page - an awesome exploration of African children's literature (amongst many other wonderful things). 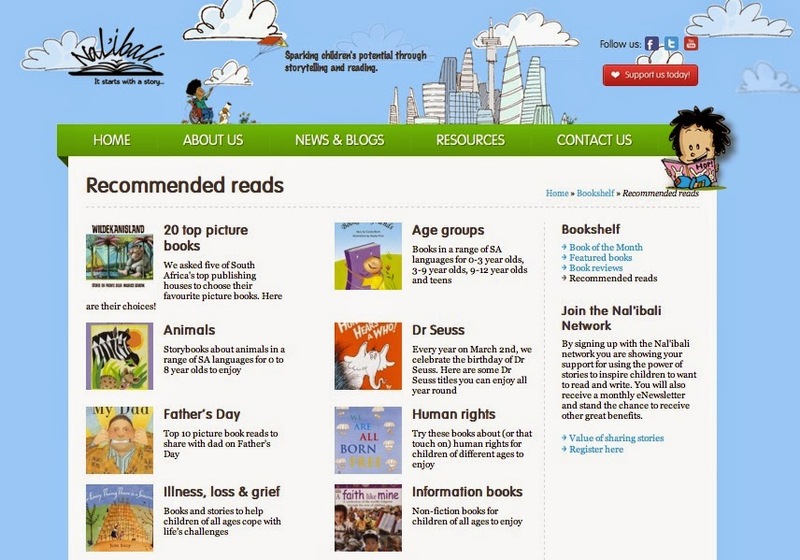 There are booklists for kids, booklists for Young Adults, Picture Book Art and even Green Books. Another cool website is Nal'ibali. isiXhosa for "here's the story", Nal'ibali is "a national reading-for-enjoyment campaign to spark children's potential through storytelling and reading." Their bookshelf section features children's books they enjoy and have also shared with children through their reading clubs and newspaper supplement. They have books of the month, featured books and recommended reads. Another southern African website, PUKU is a weekly online literary newspaper focused specifically on children's literature, education and literacy in southern Africa. PUKU aims to "build up a transparent, regularly updated and accurate database of reviews of recreational and educational books and resources for African parents, teachers and librarians in all South African official languages." Founded by Chimaechi Ochei, after a trip to Lagos in 2008 where she visited a bookshop which didn't have books with African children in them, Kio Global aim is to provide "schools, governments, charities and families with educational resources that reflect cultures and languages globally." I love that this website sources books in different languages including Arabic, Hausa, Shona and Twi. A number of publisher's on the continent also publish children's books including Kenyan Storyhippo books, Nigerian Cassava Republic, Tanzanian Mkuki Na Nyota, South African Jacana Media, as well as online bookstores, such as African Books Collective. Thanks for all these amazing resources, Zahrah! I'm hoping to start my PhD in African Children's Literature this fall (fingers crossed). I'll just keep whetting my appetite on these links. Check out my website www.helenpapworth.com - I did my PhD on Ethiopian Illustrated Children's Literature and have uploaded it here.